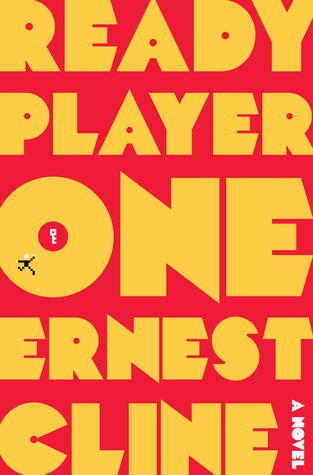 Four years after the release of Ready Player One, Ernest Cline’s new release, Armada, has been greatly anticipated. It seems like everywhere you go on the Bookternet, Armada has found its way already. The synopsis promises a video-game loving, 80s filled alien invasion. Armada is exactly what I had expected it to be: a fun, fast-paced popcorn* read. It features some funny moments, vivid battle scenes, and a whole lot of video game love. Armada is set up in a strikingly similar vein to Ready Player One. Teen boy who has spent his life without a strong father figure becomes obsessed with video games. Boy spends a lot of time perfecting seemingly useless video game skills. Chaos erupts, and boy ventures out to use his video game skills to save the world. A series of level-ups and a rag tag group of friends he only knew by usernames are the only thing the boy has on his side. Oh, and don’t forget the romantic subplot. Armada is a slight refinement on Ready Player One. The “bad guy” gets a bit more dimension, there isn’t a ham-fisted attempt at fulfilling the “dystopia” requirement YA has seemed to have lately, and there is a definite dialing back of the 80s references (though they still come out in abundance). What’s disappointing is that the book could really have been fantastic, but Cline doesn’t take the story to the next level. The biggest failing in the story is the lack of character development. Our main character, Zack, is 18 and the story is an action-adventure type; I’m not expecting a lot of deep, emotional growth and life-changing revelations. But, had Cline really taken the time to flesh out Zack’s past and current states, had he given the side characters more depth, the story would have really benefited. He had the space to do it, too. There were easily 50 pages worth of people playing video games that could have been cut without injuring the foreshadowing. In a similar vein, Zack’s love interest, Lex, could have been a great character. Lex is a rebellious programmer who gets caught up in the alien invasion resistance. She’s a valuable asset in that she’s a skilled hacker and generally pretty decisive. Unfortunately, she mostly serves as a magic fix-all for computer issues. There’s no real look at who she is or what she’s even like. We know she’s willing to go to battle, but we don’t actually see Lex for more than five pages. In those five pages, she meets Zack, kisses him, and basically leaves. She may as well have been an AI or nameless IT-worker. She could have been awesome, but Cline skips all of who she is and about 1,000 opportunities for her to advance the plot. The story itself is about what I had expected. Aliens are coming to destroy Earth. They’re using drones, so they remain a big mystery. When we do find out a bit more of what the aliens are like, it’s in the last 20 pages. Another chapter or two post-crisis would not have gone amiss here. While Cline does distinctly tone-down the 80s trivia, there is still the unexplained question: why do ALL of these 15-18 year olds know all of this ridiculously obscure 80s trivia? They were born and reached pubescence in the 2010s, is 80s actually a big deal among teens in 2015? I don’t really think so. Granted, I haven’t been a teen for the better part of a decade, so I can’t say for sure. Given that Cline hasn’t been a teen since about the 1980s, I don’t know that he can say any better than I can. The story, is though, undoubtedly fun. It’s a YA read that isn’t a total turn-off for the adult crowd and is easily a one-sitting read. I just wish that there’d been more to it. I received a copy of Armada for free in exchange for an honest review. This entry was posted in Reviews and tagged 80s, Aliens, Armada, Book Review, Ernest Cline, Lex, Lightman, Ready Player One, Science Fiction, Zack.